leurine is a Dutch vocalist with an impressive international resume. She studied at the Amsterdam School of High Arts / Conservatory for four years, and then left The Netherlands to live in New York and has been working on both continents since 1993. Wanting to sing songs of Jazz in a different way, thinking it would be hard to add anything to the repertoire of her favourite vocalists, she set out to write her own lyrics to compositions of famous Jazz composers such as Thelonious Monk , Kenny Dorham, Ray Briant, Curtis Fuller and Thad Jones, but also to songs of contemporaries such as Tom Harrell and Joshua Redman, thus creating a brand new vocal repertoire, writing in English and in Portuguese. She recorded these songs on her debut Album "Meant to Be!" in N.Y, with a band consisting of Tom Harrell(tp), Ralph Moore(ts), Renee Rosnes(p), Jesse van Ruller (g), Christian McBride(b), Billy Drummond (d) and Grammy Award winning Producer Don Sickler (who produced a/o Joe Henderson, Jimmy Smith, Christian McBride and Mark Whitfield). The Album, which was received excellently by the International Press, (see reviews) was released on English Independent label "Bluemusic". (1996). It immediately became a regular Jazz Hit in a/o The Netherlands and England. Shortly after, Fleurine toured all over the world, performing with her own band at renowned Jazz clubs such as Birdland and Blue Note(recorded for TV) in New York, the renowned PizzaExpress Jazzclub in London and at International festivals such as the Montreal Jazz Festival and the Edmonton Jazz festival in Canada, the Umbria Jazz Festival in Italy, the Istanbul Jazz Festival in Turkey and the North Sea Jazz Festival, where she performed seven times since 1994. She also debuted as a Producer on guitarist Jesse van Ruller's first album as a leader: "European Quintet"(1997) .This album became a top seller in Japan in 2000. Fleurine was soon noticed in the International Jazz scene and got invited to tour as a guest vocalist with bands such as the Roy Hargrove Quintet, at the Havana Jazz Festival in Cuba in 1996, and with the T.S. Monk Band in Canada and at the 1997 North Sea Jazz Festival where she met Brad Mehldau. Mehldau heard Fleurine sing, and invited her to sit in with his Trio at the famous Village Vanguard in New York. The combination turned out to be a great success, and the idea for a tour together was born. 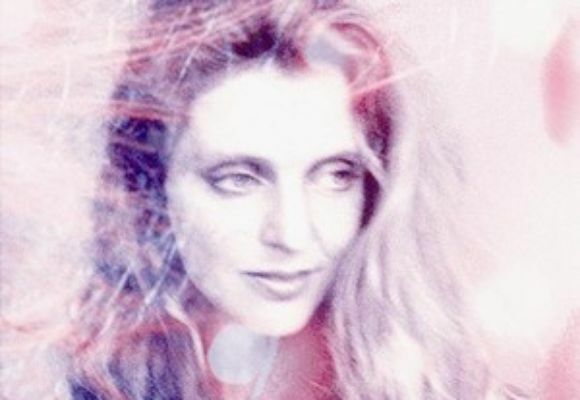 Fleurine chose the material for the album, continuing to create new vocal standards by writing lyrics to beautiful compositions of Pat Metheny and Brad Mehldau, composing a song of her own, and interpreting contemporary songs by Jimi Hendrix and Supertramp as well as three classic composers, Michel Legrand, Antonio Carlos Jobim and Johnny Mandel. Fleurine's duo album with Brad Mehldau is entitled "Close Enough for Love", released by EmArcy/ Universal (157 548-2) in February 2000. Fleurine and Mehldau subsequently toured the world, playing in Paris, London , Berlin, Amsterdam, Antwerp, Prague, Utrecht, Los Angeles, New York, Montreux, The Hague, Sao Paulo (Brazil) , Buenos Aires (Argentina) with great success. Fleurine's debut Album, "Meant to be! ", has been re-released by Universal, and is available in many new countries since 2000 under catalogue number EmArcy/Universal 159 085-2. For her new release, "Fire", Fleurine collaborated with producer Robert Sadin, who recently produced Herbie Hancock's Grammy winning "Gershwin's World" with Stevie Wonder and Joni Mitchell, and Wayne Shorter's latest release "Alegria". Sadin has also conducted, arranged and produced for a wide range of leading artists, including Kathleen Battle, Wynton Marsalis, Milton Nascimento, Dee Dee Bridgewater, and the New York Philharmonic. Sadin was so enthusiastic about Fleurine's previous recordings that he offered to produce her next album. Fleurine was thrilled to work with Sadin and their musical chemistry brought forth an exceptional album. Fleurine continues to be bold and original, this time arranging famous pop hits by Peter Frampton, Bruce Springsteen, Nick Drake, Paul Simon and The Pretenders in a jazz context, while at the same time reinterpreting a Gabriel Fauré's classic sung in French, showcasing that jazz has no limits. Her great love for Brazilian grooves and language, always present on all of Fleurine's albums is featured on the title track "Fire", as well as on two brand new Brazilian originals and one classic Jobim. The album features top players from two continents; New York's finest -drummer Jeff Ballard, saxophonist Seamus Blake, accordionist Gil Goldstein, pianist Brad Mehldau and guitarist Peter Bernstein, and from Europe, Fleurine's treasured band-members of 10 years: Holland's premier guitarist Jesse van Ruller and Dutch bass ace Johan Plomp. With "Fire" Fleurine continues to create her own unique niche in the world of jazz.